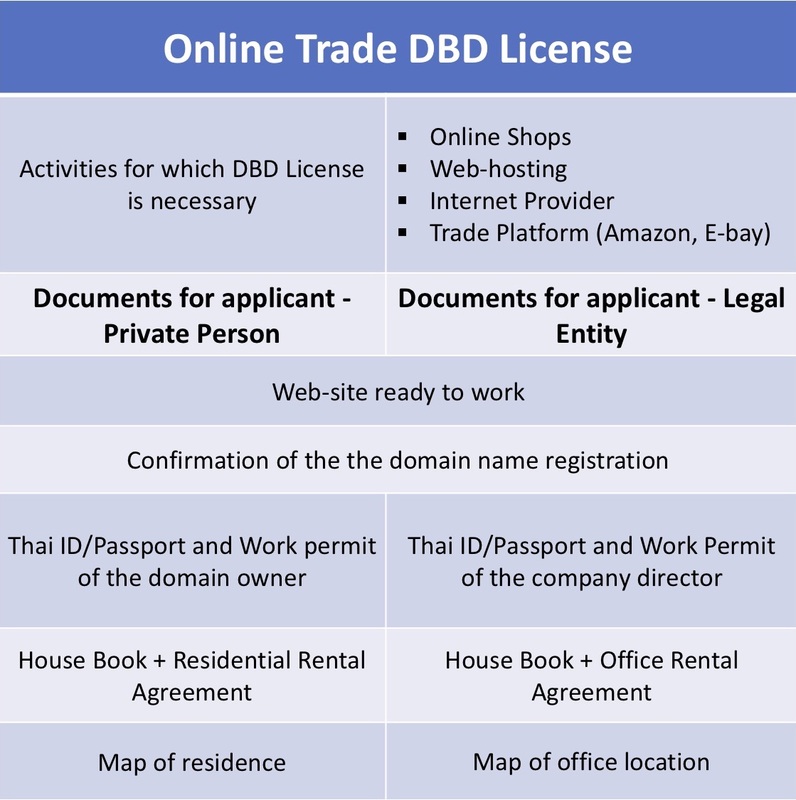 If web site is owned by a private person, it is possible to obtain a license, but do not forget, if you are a foreigner you need to have a work permit. And also about taxes that must be paid from income. It is possible that a private project will soon grow into a business and it will be necessary to think about registering a company. If web site is owned by the company, all income from online trading will be taken into account when calculating the amount of cash flow. It is important not to miss the threshold of 1.8 million baht and to achieve this amount within 30 days to register as a VAT payer. To obtain a license: up to 30 days (in practice, up to 1 week). Any questions about online business? Write us or call us.